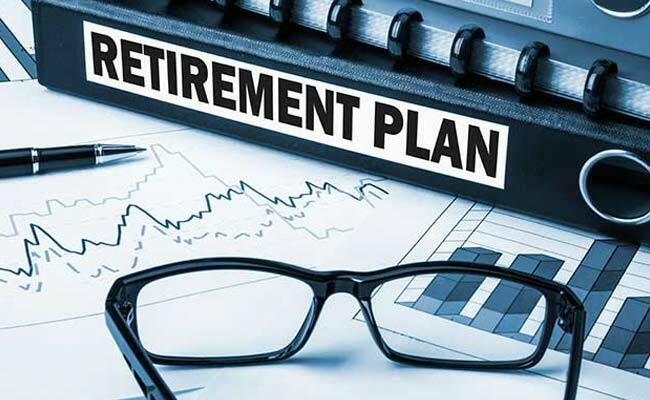 Retirement Planning: Proper financial planning can ensure a steady flow of income in post-retirement years, say experts. Retirement Planning: The key to a successful retirement life lies in sowing a seed in adulthood. Retirement brings the onset of the winter of life. You are no longer in active service, there is no regular source of income and even your health may start failing. But proper financial planning can ensure a steady flow of income in post-retirement years, say experts. The key to a successful retirement life lies in sowing a seed in adulthood. You need to focus on building a robust retirement corpus right from a young age. Multiple investment avenues like mutual funds, Public Provident Fund (PPF) and National Pension Scheme (NPS), among others, can help you generate wealth for a successful retirement life. When should one start investing for the purpose of a retirement corpus? The financial instruments and the timing of the investment depends on an individual's risk profile and the amount of income that can be generated, said Lakshmi Iyer, CIO (Debt) and Head - Products, Kotak Mutual Fund. "In the initial years, risk assets like equity play a vital role in creating 'reserves' for the future. Gradually, as one approaches retirement, the asset allocation generally tends to skew towards a moderate risk-profiling. It is vital that one should ascertain one's risk profile and longevity associated with investments before initiating them," she said. The maximum allocation should be in debt instruments for the purpose of retirement security, said Aditya Maru, Founder, Augain Wealth management. "The retiree cannot afford to risk losing his retirement corpus. There is no active regular income post retirement. It is essential to invest only in those options which are tailor made for retired people", said Mr Maru. How can one start investing for post-retirement years? There are numerous options one can look for in order to get a regular income after retirement. However, all investment schemes are not tax-efficient. 1. Fixed Deposits (FDs): FDs are the best option for people looking for an assured income after retirement. It is safe and convenient. Having a fixed return provides a reliable source of income for retired people. Fixed deposit interest rates vary across banks. Post offices and companies also offer fixed deposits. However, corporate fixed deposits do not guarantee an assured interest income. 2. Senior Citizens Saving Scheme (SCSS):One can invest in SCSS after attaining the age of 60 years only. However, if an individual has opted for Voluntary Retirement Scheme (VRS), he is eligible to invest in the scheme from the age of 55 years. An individual can invest a maximum amount of Rs 15 lakh, singly or jointly in an SCSS account (in multiples of Rs 1,000). SCSS offers tax benefits under section 80C of the Income-Tax (I-T) Act. For the quarter ending December 2018, SCSS offers an interest rate of 8.7 per cent per annum. 3. Post Office Monthly Income Scheme (MIS): For the quarter ending December, MIS will provide an interest rate of 7.7 per cent. It has a maturity period of five years with the maximum investable amount of Rs 4.5 lakh in a single account and Rs 9 lakh in case of a joint account. However, the income is subject to taxation. 4. Monthly income plans (MIPs): A majority of the portfolio of MIPs is invested in debt funds. Thus, it is a viable option for retired individuals as the returns are secure. "It is a low-risk scheme that provides great liquidity backed with regular dividends. People, who want to park their money safely while getting additional income monthly/ quarterly, can opt for MIPs", Brijesh Parnami, Executive Director and CEO, Essel Wealth Services told NDTV. 5. Investing in equity: Individuals planning for retirement can also invest in equity. "One can either invest directly in equity or via mutual fund. It is advisable for first-time investors or even small investors to invest via mutual fund. Now, the percentage of allocation to equity mutual funds is totally dependent on an individual's risk profile. However, one can consider investing about 20-25 per cent of the retirement corpus in equity mutual funds," said Pradeep Agarwal, CEO, Meri Punji IMF Private Limited. 6. Mutual Funds: Mutual funds are one of the best options as the fund is managed by experts, who have knowledge about the equity markets. "One flexible way to create a steady flow (of income) is through SWP (Systematic Withdrawal Plans) from a mutual fund which ensures growth of a portfolio over the investment duration as well as a desired outflow each month. Equity mutual funds also have the ability to generate higher inflation-adjusted returns over a long-term", Dinesh Rohira, Founder and CEO, 5nance.com, told NDTV. SWP allows you to withdraw a fixed amount from investment at regular time intervals. It is the reverse of Systematic Investment Plans (SIPs), under which you can invest a small amount of money regularly, instead of a lump sum. 7. Public Provident Fund:PPF offers an EEE (Exempt-Exempt-Exempt) tax status. The maturity amount and the overall interest earned during the period of investment are tax-free. It has a lock-in period of 15 years. 8. Tax-free bonds: There are many tax-free bonds available in the market which can be a part of a retiree's portfolio because they offer guaranteed tax-free returns over a long term. "Tax-free bonds are best for senior citizens in the higher income tax bracket. Such bonds offer clarity and assured income if planned well," said Anil Rego, Founder and CEO, Right Horizons. However, some experts feel that liquidity issues make them less attractive. "Tax-free bonds generally have a longer lock-in and in the absence of an active secondary market, liquidity is a problem if the funds are needed in case of any emergency. So, it is not a very good investment, "said Vijay Kuppa, Co- Founder, Orowealth. 9. National Pension System: NPS, introduced by the government, allows individuals to contribute towards building a pension corpus throughout their working life. At the time of retirement, NPS subscribers can withdraw up to 60 per cent of corpus in lump sum, while the remaining 40 per cent of corpus can be used as annuity. There is an additional tax benefit up to Rs 50,000 for investment in NPS. 10. Annuity plans: Annuity plans are long-term contracts that are tax-deferred. These plans offer regular payments in exchange for a lump-sum investment. According to Brijesh Parnami, Executive Director and CEO, Essel Wealth Services, there are two types of annuity plans - deferred annuity plans and immediate annuity plans. In deferred annuity plans, the investment can be made either one-time or at regular periodical intervals, and the pension begins after the premium payment term or after maturity. In immediate annuity plans, the investment is made in lump sum and the pension begins immediately. The pension amount is based on the amount invested by the investor.